Here’s another great benefit for being one of our clients. 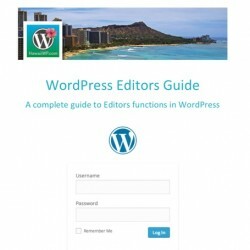 You get our 89 page eBook to help you learn to use WordPress. This Ebook covers everything from logging into your website to creating a post and adding videos and images. And best of all, it’s completely free for you. Consider it a Bachelor’s Degree in WordPress. So congratulations in advance for learning to use your website effectively. As always, thank you for choosing to utilize our services!